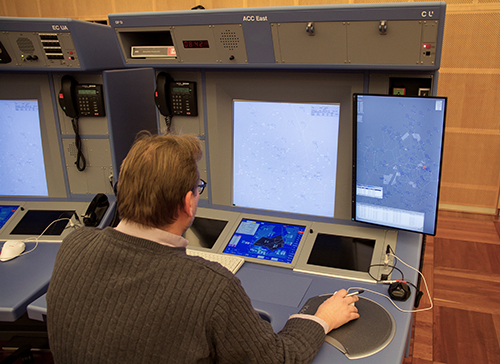 Wolfratshausen, Germany, September 7, 2017 – EIZO today announced that LFV and Naviair, the Swedish and Danish air navigation service providers (ANSPs), have jointly selected EIZO’s Raptor 2K x 2K primary control monitors to be integrated at air traffic control centers and Units throughout Sweden and Denmark. The installation of approximately 200 monitors was completed at the end of 2016. EIZO’s Raptor 2K x 2K primary control monitors provide exceptional image quality for displaying high-resolution ATM applications and meet the reliability requirements demanded in ATC environments through in-house development and manufacturing. The monitors were selected for the installation after high testing and evaluation results, particularly in the area of screen clarity with minimal reflections. EIZO tailored various mounting options specifically for the installation in LFV and Naviair’s ATC center workstations including customized stands and fixtures for mounting on arms. With over 10 years of experience in developing LCD primary control monitors for ATC, EIZO continues to provide the market with 2K x 2K solutions that are the optimal choice for many of the world’s most stringent ATC centers. Large-scale installations across Europe, Africa, and Asia are achieved with EIZO’s experience, dedication, and ingenuity in the development of visual display solutions.